The St. Louis Galleria, Shops on the Boulevard, and surrounding retail area have a close and convenient connection to the Richmond Heights MetroLink Station and MetroBus routes. Now, new townhome residences are bringing even more vibrancy to this popular area. 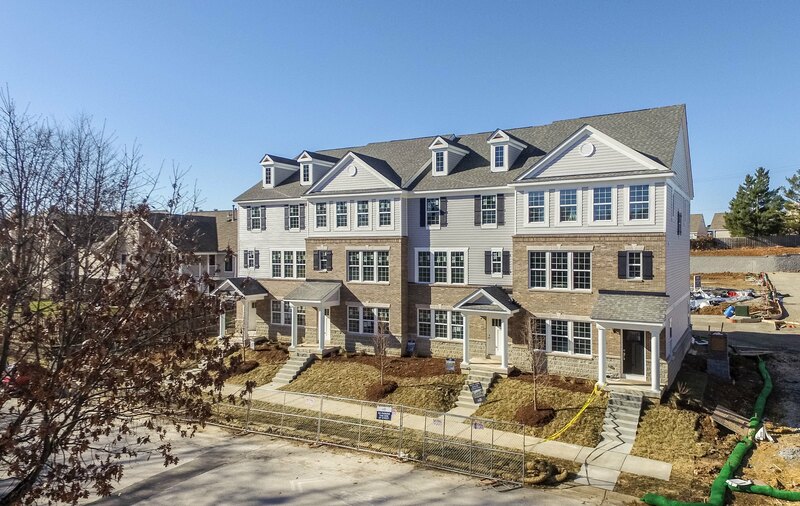 Pulte Homes has made significant progress on Central Park Townes, a project that includes 42 townhomes and 1.2 acres of common space for residents to enjoy, all located just a couple hundred feet from the Richmond Heights MetroLink Station. The townhomes start at $400,000, and offer a pedestrian-friendly lifestyle due to their design and close proximity to the MetroLink station. The grand opening for the project was held two weeks ago. This TOD project is another great example of how residents in the St. Louis region can enjoy a car-optional, transit-oriented lifestyle. Areas around MetroLink stations are increasingly becoming sought-after spaces for development by residents, businesses and developers. In addition, the growing demand for townhome-style residences also highlights the growing popularity of urban living with a strong pedestrian-friendly environment that has close proximity to important resources and amenities.